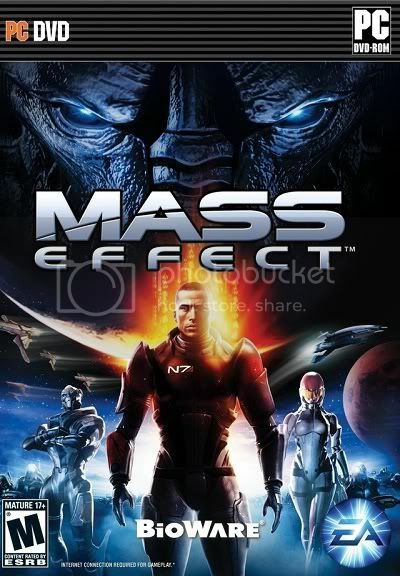 Mass Effect 2 is the sequel to BioWare’s hit space-based role-playing game (RPG), Mass Effect. A single player adventure, Mass Effect 2 allows players to continue the adventures of the fully customizable series hero Commander Shepard, as you take on a whole new adventure and a new cast of supporting characters. Additional new features include the ability to import game save files from the original Mass Effect game to continue the adventure in an unbroken fashion, a new damage system, a new, more flexible dialogue game mechanic and more. This visor works with the Sentry system, a software application that optimizes an armor suit’s microframe computer. When the Sentry system is running, more power can be devoted to shield management. A hood issued to covert action teams, this model’s optic display interfaces with most small arms’ auto-targeting software, linking hand and eye for improved accuracy and increased weapon damage. Ballistic-mesh fabric and composite ceramic plating provide necessary armor, and the integral air filter helps in hostile environments. A next-generation night-vision device that assists targeting. By detecting the focal point of the wearer’s eyes and enhancing the image at that location, the visor helps direct a biotic power or a shot from an omni-tool exactly where the wearer is looking. The Incisor is one of a new wave of military and police sniper rifles designed to overload active defenses such as shields. Firing three shots with each pull of the trigger, the Incisor’s burst is so fast that all three rounds will be in the target by the time the barrel has moved a millimeter, increasing its stopping power without sacrificing accuracy. As an added benefit, the noise of the burst is comparable to a single rifle shot in duration, making it no easier to locate the sniper by sound. Take the fight to the enemy with their own technology! The chitinous Collector armor uses advanced regeneration amplifiers allow you to move faster, take more damage and recover health quickly. The Collector assault rifle is built to strip shields off enemies with little effort, allowing you to turn a well fortified mercenary or mech into a shredded mess in no time. Built specifically for Cerberus field officers, the Inferno armor has a VI dedicated to recognizing signs of stress and medical trauma. This application helps assess soldiers, but can be useful in any high risk situations. The Inferno’s microframe computer also manages biotic amp and omni-tool power, and microservos help the wearer’s movements to counteract the armor’s weight. Terminus Assault Armor: Like all modern combat hard-suits, the Terminus Assault Armor is environmentally sealed with an independent air supply for use in space and extreme planetary conditions, with an onboard “micro-frame” computer capable of running a suite of battle management software. To prevent detection by passive thermal sensors, body heat is channeled to the base of the feet, where it can be dispersed into the ground. M-490 Blackstorm: The Blackstorm encases a few particles of matter within a high-powered mass-increasing field, elevating them to near-infinite mass and creating a powerful localized gravity well that draws nearby enemies and objects into itself. The rapidly-increasing gravity near the event horizon of the singularity rips the objects apart and then explosively hurls them away. The Alliance has found the wreckage of the SSV Normandy on the planet Alchera (Amada system, Omega Nebula). They have asked that a monument be placed on the site and that any sign of the remaining 20 missing crew members be recovered. Zaeed served in the Alliance military before building a reputation as one of the deadliest guns-for-hire in the Terminus Systems. For 20 years he waged war for profit, but now he wishes to retire from his life of bloodshed and mercenary work. Download Zaeed and his mission on planet Zorya and then utilize his lethal skills to eliminate the Collector threat. Designed with three things in mind: shields, thick armor, and auxiliary ammo packs, the Cerberus Assault Armor is given to shock troopers who are expected to turn the tide of battle against forces that would decimate normal soldiers. Additionally, the M-22 Eviscerator Shotgun comes standard issue. Lethal at close range, the Eviscerator Shotgun is a favorite among Cerberus operatives who like to get up close and personal with their foes. The Arc Projector ionizes targets with a non-visible laser to ready them for a high-voltage electrical attack. As the lightning-like bolt hits its first target, a sophisticated auto-targeting system paints succeeding targets with the ionization laser, allowing the electricity to take the path of least resistance and arc between them. An entire enemy strike team can be shocked to death with a few pulls of the trigger. Careful aiming will also allow the user to arc shots to nearby explosives as well. * Completing the Prothean Site mission gives you the Prothean Relic Trophy, viewable in your cabin. * The DLC has added a Fuel Depot to the Widow System that was not present in the initial release. o The Dranek System located in the Krogan DMZ cluster. o The Elysta System located in the Ismar Frontier cluster. o The Chomos System located in The Phoenix Massing cluster. o The Verr System located in the Hawking Eta cluster. o The Yakawa System located in the Caleston Rift cluster. o The Hoplos System located in the Hades Nexus cluster. 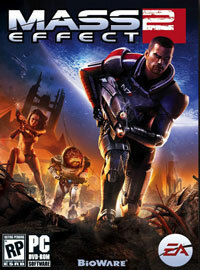 o The Ismar Frontier is added if Zaeed – The Price of Revenge wasn’t downloaded. o The Aquila System is added if Zaeed – The Price of Revenge wasn’t downloaded. The first pack includes three new outfits, one each for squadmates Garrus Vakarian, Jack, and Thane Krios. Cerberus has procured the service of Kasumi Goto, the galaxy’s most enigmatic master thief. In return for her help, Kasumi has asked Shepard’s help on a dangerous heist to infiltrate the vault of a deadly master criminal named Donovan Hock. Gain Kasumi’s loyalty on the planet Bekenstein, where Hock is throwing a party for some of the galaxy’s richest and most deranged criminal minds to recover data of great importance to Kasumi… and to the galaxy at large. Includes a new squad member, mission, weapon, research upgrade, casual outfit, and achievement. Cerberus doesn’t just need a hero – they need a one-man army. That’s why the Equalizer Pack adds the Capacitor Helmet, Archon Visor, and Inferno Armor to Shepard’s armor locker. The Capacitor Helmet stores power for kinetic barriers, allowing Shepard’s shields to recharge faster. The Archon Visor manages omni-tools and biotic amps, reducing the recharge time of Shepard’s powers. The powered Inferno Armor speeds up Shepard’s movements and increases his tech and biotic power damage, additionally stress analysis software even gives him an edge in negotiations outside of combat. The Equalizer — when the armor goes on, the gloves come off. – Reduced the amount mining time required to acquire all upgrades. – Fixed an issue where DLC weapon selections would appear blank on the Weapon Loadout screen after removing DLC. – Fixed an issue where heavy weapon crosshairs sometimes remain on screen after entering a vehicle. – Fixed an issue where enemies sometimes ‘pop-up’ onto cover after taking damage. – Fixed an issue where Grunt’s loyalty power sometimes doesn’t unlock. – Fixed an issue where the Squad screen wouldn’t update properly after removing the Alternate Appearance Pack #1 DLC. – Fixed an issue where save games that used DLC while offline could not be loaded. – Fixed an issue where the active save career would sometimes change after loading saves with unmounted DLC. – Fixed an issue where the game would sometimes crash during the Jarrahe mission when using Windows 7 (64-bit). – Fixed an issue where ammo powers activated by a henchman would sometimes overwrite the players active ammo power. – Fixed an issue where under certain circumstances, spacebar would not activate objects. – Fixed an issue where Loading saves while DLC is unmounted will change your active career. – Fixed an issue where the text for some characters in the keybinding GUI would appear as English in foreign language versions of the game. 2. Copy the Crack from ViTALiTY folder to your installation directory.